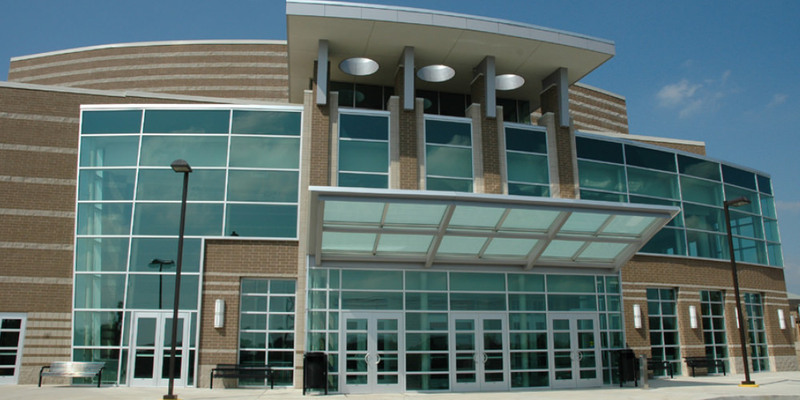 Granger Construction has collaborated with the Charlotte Public School District on numerous bond proposals and construction projects. Constructed a new single-story middle school with three gyms, four locker rooms, one cafeteria, one auditorium/cafeteria, music wing, complete kitchen, district computer center, special education classrooms, 5th-8th grade wings with computer labs, media center and offices. Work also included renovations and upgrades to six elementary schools and their sites. Constructed a new auditorium/fine arts center at the high school and a new pool at the middle school. Charlotte High School - Two new and two renovated science classrooms/labs; girls and boys locker room addition; weight room renovation; administrative office addition; art room renovation; new heating and ventilation system; improved lighting; updated classroom technologies; new energy efficient windows and doors and reconfigured building entries to ensure all visitors pass by the administrative offices. Charlotte Middle School/Upper Elementary - New building controls for heating and ventilation systems and new security cameras. Parkview Elementary - New building entrance and main office; new roof sections; reconfigured building entries; new security cameras and energy efficient windows and doors; improved lighting and classroom technologies; renovated restrooms and computerized temperature controls. Washington Elementary - New building entrance and main office; improved parent pick-up/drop-off loop; reconfigured building entries; new energy efficient windows and doors, improved lighting and classroom technologies; renovated restrooms and computerized temperature controls. Weymouth Child Development Center - Entrance canopy removal and reconstruction; new energy efficient windows, rooftop exhaust units and HVAC unit. Projects 1 and 2 – Fanning/Howey Assoc.